The burgeoning social scientific study of tourism has emphasized the effects of the post-industrial economy on travel and place. 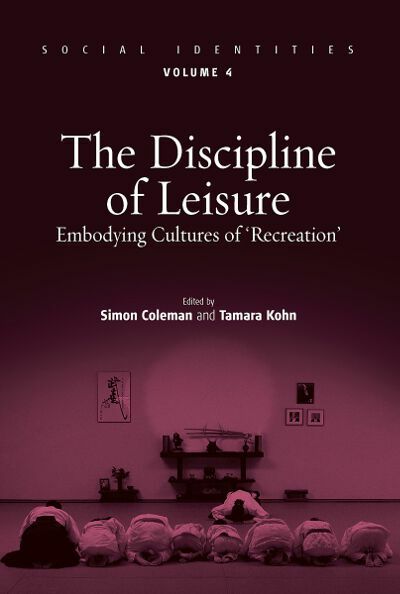 However, this volume takes some of these issues into a different area of leisure: the spare-time carved out by people as part of their everyday lives - time that is much more intimately juxtaposed with the pressures and influences of work life, and which often involves specific bodily practices associated with hobbies and sports. An important focus of the book is the body as a site of identity formation, experience, and disciplined recreation of the self. Contributors examine the ways rituals, sports, and forms of bodily transformation mediate between contemporary ideologies of freedom, choice and self-control. Simon Coleman, Professor of Anthropology at Sussex University, spent 11 years at Durham University as Lecturer and then Reader in Anthropology and Deputy Dean for the Faculty of Social Sciences and Health. He obtained his undergraduate degree and PhD from Cambridge, and was a Junior Research Fellow in both Churchill College and St John's College, Cambridge. His books include The Globalisation of Charismatic Christianity (Cambridge UP 2000), Tourism: Between Place and Performance (ed. with Mike Crang, Berghahn 2002) and Pilgrim Voices (ed. with John Elsner, Berghahn 2003). Tamara Kohn is Lecturer in Anthropology at the University of Melbourne. She has conducted research in Scotland, Nepal, and California. Publications include Extending the Boundaries of 'Care' (1999, ed. with R. McKechnie), "Becoming an Islander through Action in the Scottish Hebrides" - JRAI 8/1: 143-158 (2002), "The Aikido Body: Expressions of Group Identities and Self-discovery in Martial Arts Training" in Dyck and Archetti (eds) Sport, Dance and Embodied Identities (Berg 2003).